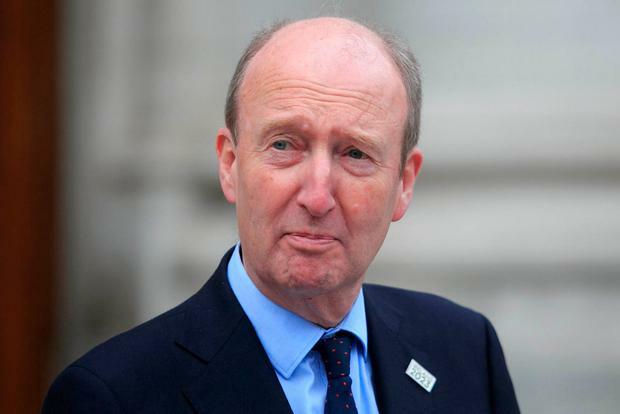 Building works to allow for the re-opening of Stepaside garda station will have begun before the next general election, Shane Ross has insisted. The Transport Minister's crusade to get the station back into operation was central to his election campaign in 2016. He sought guarantees around the station's future as part of his deal to enter Government with Fine Gael and was ultimately rewarded by a report which said Stepaside and five other stations should be reopened as part of a pilot scheme. However, a number of Mr Ross's ministerial colleagues have told the Irish Independent in recent days they don't expect to see gardaí based there any time soon. And the Office of Public Works (OPW), which is in charge of the building, remains unable to provide a timeline for when any of the six stations will undergo remedial works. Last Tuesday this newspaper asked the OPW for an update on their assessment of buildings in Ballinspittle, Co Cork; Bawnboy, Co Cavan; Rush, Co Dublin; Donard, Co Wicklow; Leighlinbridge, Co Carlow; and Stepaside. On Friday, the office replied that a "brief of requirements for each station" was received by the end of February. A full technical assessments of each site was completed in April - but a "deliberative process between An Garda Síochána and OPW is continuing". "Until detailed and definitive design is agreed in each case, timelines for the re-openings cannot be provided at this stage," a statement said. However, Mr Ross last night said he was "confident" work will begin on Stepaside before the next general election. "There have been delays, understandably because of technical differences between gardaí and the OPW but there is no doubt it will open," he said. Mr Ross told the Irish Independent he was "impatient" but trusted his Fine Gael counterparts on the issue. Yesterday Justice Minister Charlie Flanagan expressed "surprise" at a suggestion from Mr Ross that the station would reopen soon. "Having visited the former station earlier in the week I was shocked at the dilapidated state of the interior," he said. It is understood refurbishment work on the station could cost as much as €1m. Rachel Farrell Carah Daniel (19), one of the youngest candidates to run in the local elections, said she became politically motivated following the death of Savita Halappanavar.